Texas Instruments will be releasing a color-screen TI-84 Plus calculator next year, according to Cemetech member 0rac343. In a post published this morning, he mentions that his class was chosen by TI as a pilot to test the reception of these new devices. It has the same key layout and case as the standard TI-84 Plus and TI-84 Plus Silver Edition calculators, but appears to have a much higher-resolution, 320x240-pixel screen. He says that the interface feels familiar from using older TI-84 Plus calculators, but that it has slight tweaks and changes. We will be pursuing this story closely and bringing you more details as we get them. Edit, November 11, 2012: Welcome to all our Slashdot and Engadget visitors. We have gotten official confirmation from TI in the form of a tweet from TI and a form on TI's site where you can request notification when more information is available. Feel free to register for a Cemetech account and discuss this development with us. In particular, we are looking to discover if this calculator will have a z80, ez80, or ARM CPU, and if it will replace the controvertial TI-Nspire calculators. Come discuss these possibilities with us! So TI is releasing a new TI 84 next spring. And they gave my school 2 full classroom sets (24) to test out. As you can see it is a standard layout, the only thing different is the screen because it's in color. Also the UI is slightly different. Personally I don't really like it but alot of the kids in my class do. And as far as playing around with the calculator, not much has changed. It runs mathprint with the latest OS from TI. The programming language is still about the same. I didn't have time to test it out in class yet. I haven't been able to test out app functionality or compatibility. Do they have data about the 84 Plus C on their website or somewhere else (so I can cite an addition to Wikipedia)? I really hope that the applications are compatible, and my guess is that TI would provide a feature to run legacy apps and programs in black and white, more likely the apps and the programs - I mean, they have pretty much the same name as the original TI 84 Plus SE, so customers would expect at least some compatibility. If they decide to divulge their color programming secrets, my guess is that they will provide new ports for color manipulation, and make the old ports display in black and white. And if the 84 Plus C SE can be easily programmed just like the other 84 Pluses can, Kerm is going to have a ball with Doors CS. Does still have a Z80 inside? Color seems to be a little overkill if you ask me. Wow, that's pretty interesting! I am extremely glad to hear that the TI-84+/SE line is continuing. I would call this fake if it wasn't so obviously not (I can tell from some of the pixels, and from having seen a good deal of Photoshopping in my time). I share PCB_Master's question: does it have a z80 inside? This definitely bears front-page news. And I love TI that they gave exactly YOUR class those things, so you could inform us. :3 have you already tested programming abilities? Woo. That's pretty sweet. Does this mean they're giving up on the Nspire? I'm wondering that as well; it certainly shows that they're perhaps realizing the Nspire is not the sole future of their graphing calculators. This makes me very hopeful, and also explains more about the Linking Cables stuff they were discussing, I think. I definitely want to see more screenshots of the math side of things, know a rough resolution estimate and an OS version, and hear about the programming features. Edit: PCB_Master asks if it has an I/O linkport and a USB port. I just bought my 84+ last month... > Looks like I'll get both! But anyways, the screen doesn't look too high-resolution for an ARM, but maybe TI is finally going to use modern technology. Let's hope it still supports Assembly. Dust under the screen appears to be a problem with a covered screen, just like in a TI-83/85/86. If you take a look at the resolution of the horizontal and vertical ticks on the graph axes, it looks like it may actually have a 320x240-ish screen. Ti should have done this years ago. cant wait for the real release! The question is if it has that high of a resolution, why is the text at the top so blocky? My guess would be that they're emulating the 3x5 font on a higher-resolution screen, so just using blocks of pixels as pixels. We really need some more photos and details from the OP, though. 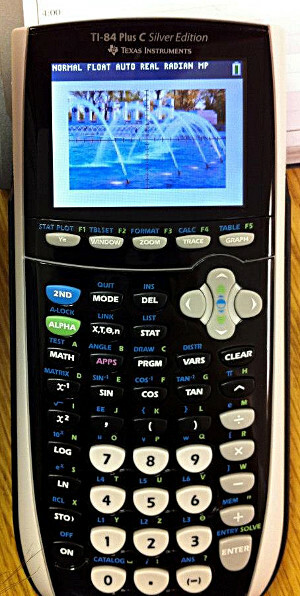 This calc will probably be released during back-to-school 2013 Not sure, but certainly. The question is TI-BOY SE C.
Well the thing is, he means a remake. Or different hardware entirely TI-Boy will almost certainly not run on an emulator created by TI. Anyway, better resolution is absolutely fine for making a better TI-Boy. It runs 2.55MP, as far as I can see it still has the asmprgm and asmcomp function. So I am assuming it has z80. As for screen resolution I am not entirely sure yet. In response to the link port, it still has the standard usb and COM port So the link cables that most people have should suffice. And as far as I know I do not think TI has any actual specs or info on their site. This is just a test to weed out bugs before the actual commercial release. There are 165 users online: 4 members and 161 guests. © Copyright 2000-2019 Cemetech & Christopher Mitchell :: Page Execution Time: 0.161811 seconds.